A lot is involved in running a liquor store, but with the right tools you’ll find your stress level dramatically reduced and your profit margin increased. Liquor store POS should do many things, but the two key tasks it must perform include inventory management and age verification. Reflection POS masters these tasks and possesses additional features that will have you asking yourself how you ever managed without them. There are a lot of little things that go into running a liquor retail store. From reducing shrinkage and theft to simply and easily printing new shelf labels when you change a price on an item, Reflection POS has the functionality to make it all happen. 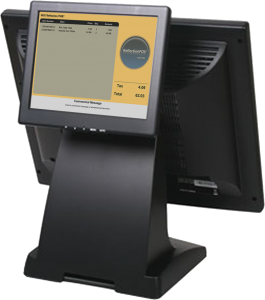 What’s more, with the Windows version of our liquor store POS software, you’ll be able to reduce your ergonomic footprint as it integrates with graphical rear displays for advertising and promotional purposes. In this way, you can take full advantage of your counter space, displaying merchandise close to the POS and making those impulse sales. 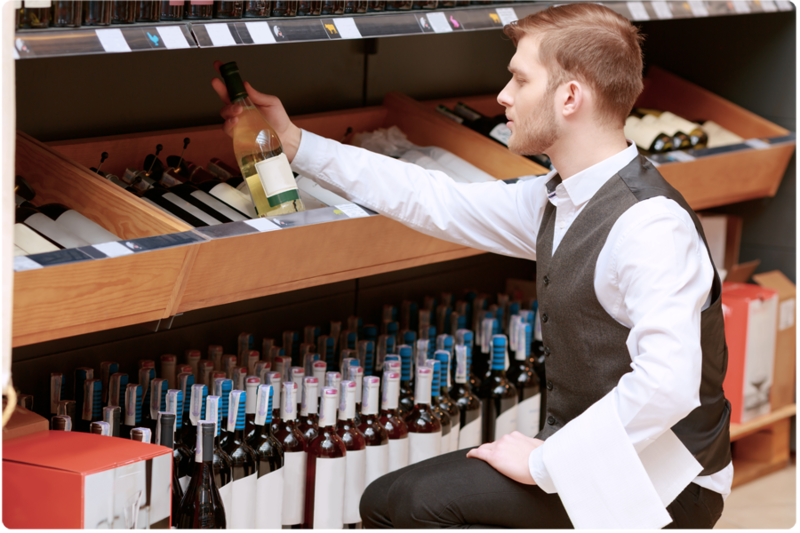 Our Retail BackOffice software is a robust inventory package that fully integrates with Reflection POS and couples with other essential modules to effectively manage your liquor store operations. With a liquor store POS equipped with our inventory software, you’ll streamline your liquor store inventory and be empowered to make smarter decisions. Retail BackOffice will help you accurately order the right amount of customer favorites and liquor store essentials. In this way, you’ll be prepared to avoid stock-outs as Retail BackOffice guides you to order the correct amount of high-turnover products. 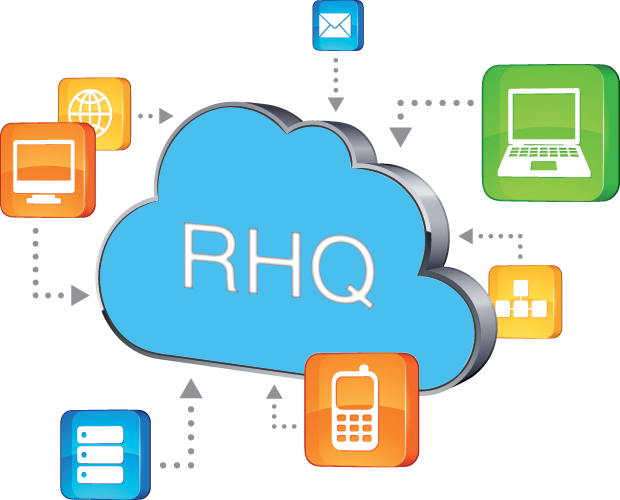 Because RHQ doesn’t rely on a network server to keep your liquor store operating, it enables you to keep up with your liquor store without having to be on site. All checks, time clock information, and sales data are pushed to the cloud at pre-selected times of your choice to keep you in the know. And, since the liquor store POS system runs independently, it keeps all of your sales data stored locally. This ensures that if your internet fails, you are still able to keep running at full capacity and when the internet connection is restored, your data will sync with the RHQ server. 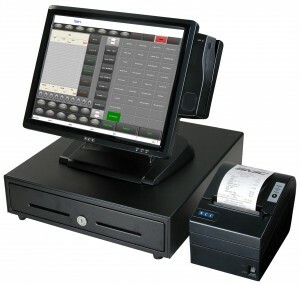 Since Reflection POS is built on solid-state technology, it has one of the most reliable operating systems around. The most advanced POS network on the market, it offers a fully certified, semi-integrated EMV solution. 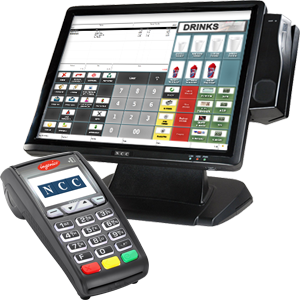 This EMV-enabled interface is available with NCC’s Reflection POS.